Located in the southern part of Ha Long Bay and east of Cat Ba Island, Lan Ha Bay has an area of more than 7,000 hectares, highlighting the spectacular beauty of some 400 large and dense islands with many interesting shapes. Different from Ha Long Bay, all the islands in Lan Ha Bay are covered with green trees, even if the island is extremely small…. (Lan Ha bay tour). 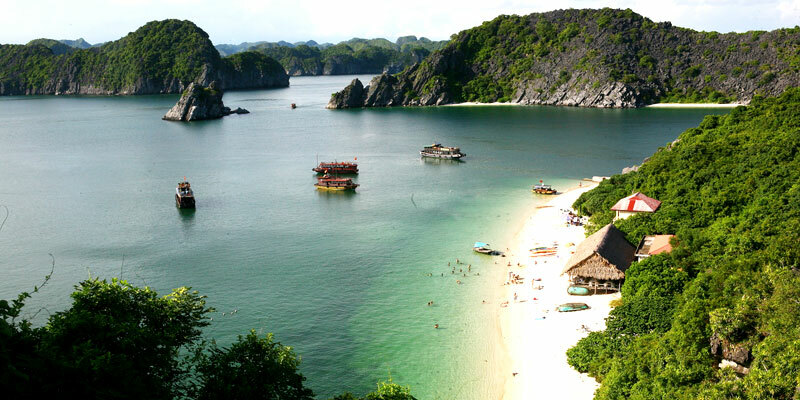 Although not widely known tourists but Lan Ha Bay is considered one of the most beautiful bays of Vietnam. When the sun is up, it is also the time when Lan Ha Bay is most beautiful with its light, un-burnt light, with gentle ocean breezes, which makes visitors feel relaxed and relaxed when sailing. Admire the bay. 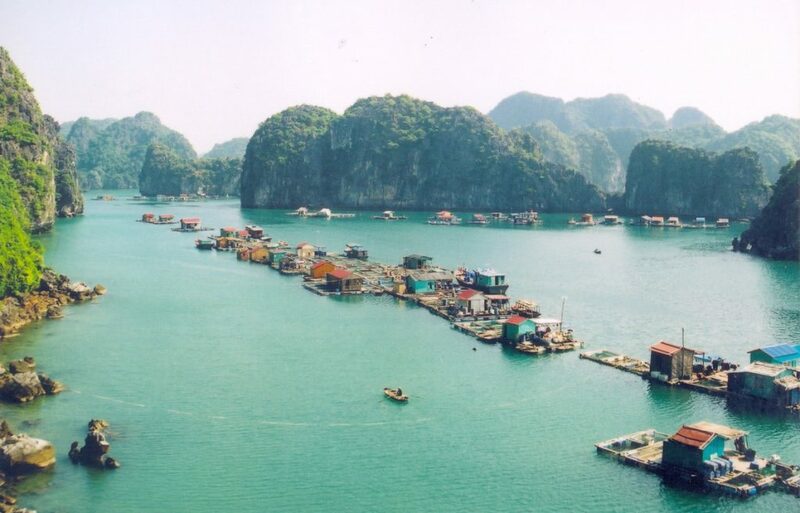 Who once enamored the beauty of Ha Long Bay should once go through Lan Ha – a small bay in the northeastern Cat Ba Archipelago – to understand that his country has many, many beautiful dreaming, pure. Ha Long Bay is famous for the world with the title of ha ha, Lan Ha Bay as a beautiful girl choose her own life a quiet, not a little dust. Opposite the Van Gia, a Ha long bay floating village, where only humble with the 400 limestone islands, but all are well arranged to form a bow as a beautiful relief sculpture. We had an afternoon on the peak of 177 Cat Ba Island, standing on the fortress of the Shen Gong, with a view of the panorama of the immense Lan Ha. From the place of heaven for this, the king’s generous kingship in the Tran dynasty kept on pounding in his mind. The important gateway of the sea in the Gulf of Tonkin as lovely as the girl’s savings, it turns out there are moments “donated his life as a feat”, transformed into a giant shield to keep the edge of the coast. watch. 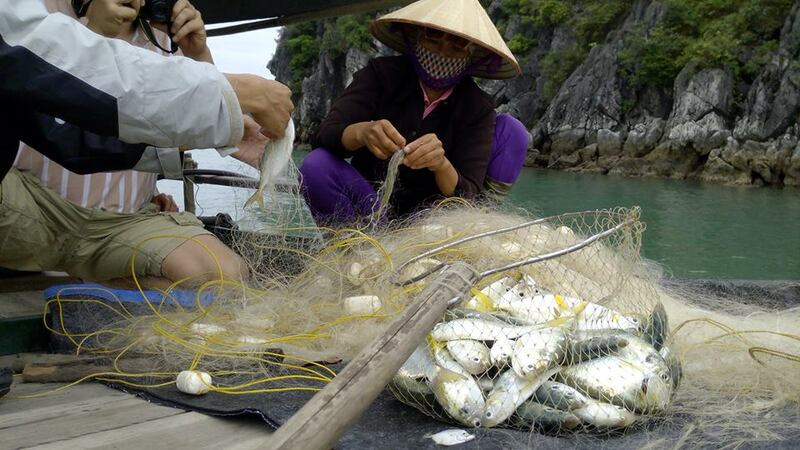 Once again have the opportunity to board the boat from Beo wharf, across the fishing village on the threshold of Lan Ha Bay, which is accustomed to the pace of life busy at the fishing village wharves, we are surprised with the peace of quiet village Lan Ha fishing. An area of ​​”big shrimp big fresh fish full of boats” but extremely frugal. It seems that the poetry of blue sea has penetrated the people of this place. The small sparsely scattered house at the foot of the rocky island. Slowly gliding around the fish sticks huddled on the water quietly, just like the simple jewelry delicacy Lan Ha beauty. The smooth surface becomes a magnificent mirror reflecting the clouds. We, after the days floating in Bai Tu Long Bay and Ha Long Bay, never immersed in the color of the sky like the sky boat on Lan Ha Bay Tour. The boat kept slipping in wilderness. 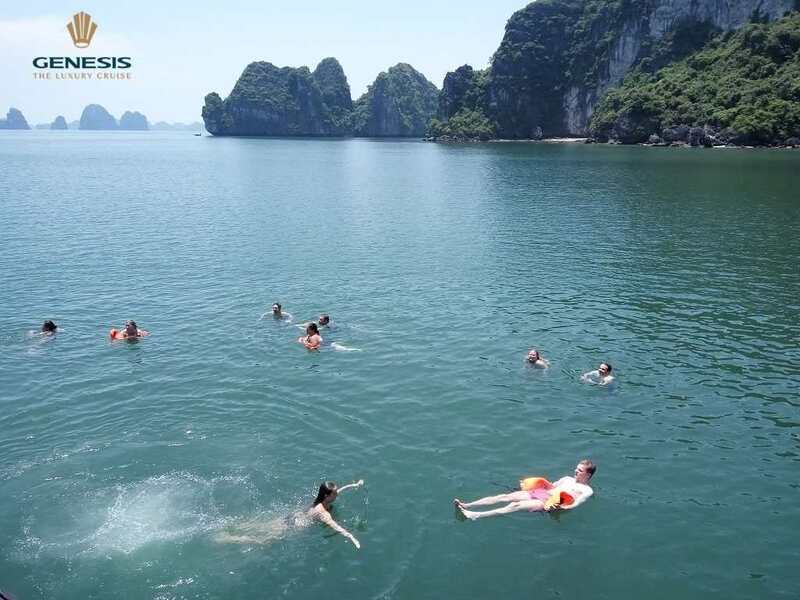 Heavenly water attracts visitors with countless beautiful sandy beaches, smoothly stretching as silk between two limestone cliffs – something quite rare in Ha Long Bay. The sandy beaches become “contours” for each island, creating a beautiful, subtle yet striking beauty! Light wind, clear water, the beach is extremely ideal. I figured that just anchoring the boat for a moment will meet the heavenly celestial audience in the ceiling. Truly immersed in the clear water, looking up the steep mountain cliffs like a lot of scenery, admire the water color in virtual colors of cloud sky … obviously the elegant style of the first place. Earth! Have the opportunity to surf the kayak rolls close to the limestone islands, the more you feel your own little finite before the wild nature. Lan Ha’s charm lies in the rich green vegetation covered with islands, making this place a perfect emerald priceless. 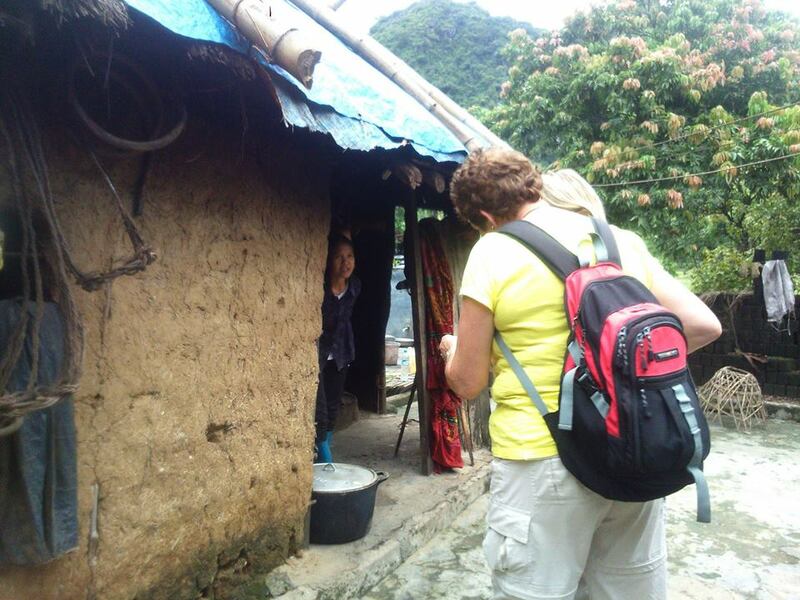 (Lan Ha bay tour). The small boat to the foot of a stone island, under the clear water is the baskets raised humor, green mussel … lined up horizontal line on the smooth white sand. Suddenly very loving North East gateway of Vietnam. Along with Bai Tu Long Bay and Ha Long Bay, Lan Ha Bay is both a natural forbidden city that holds the country as a “mother-in-law” to bring peace to the people. Integrity before the fluctuations of the time. The lovers like to go to the same place, who love the beauty of precious little hard to meet in the world wrapped in towel to find Lan Ha Bay! To get to Lan Ha Bay, the ideal journey is from the Tuan Chau Tourist Ferry Pier on Tuan Chau Island (Ha Long). 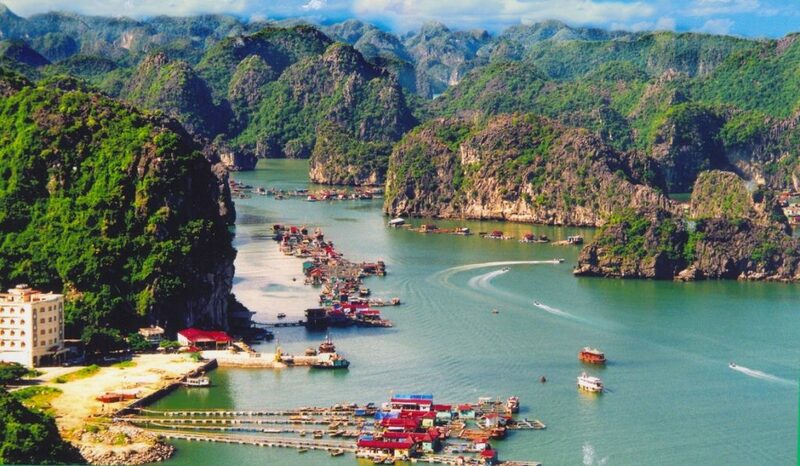 Guests have an hour to admire Ha Long Bay in the area without the silhouette of tourist boats. (Lan Ha bay tour). 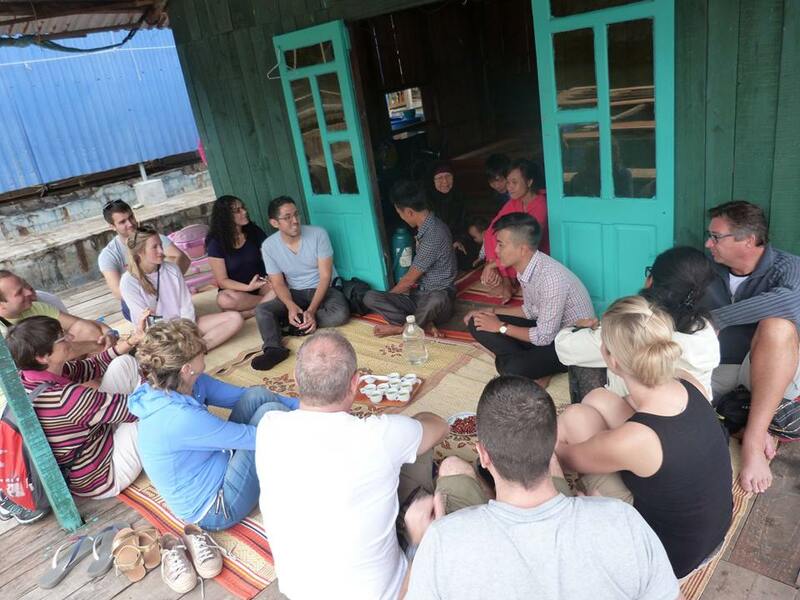 Ferry to the west coast of Cat Ba island, continue to ride through the fresh primary area of ​​Cat Ba National Park to the northeastern island, down the wharf to find a boat to sailling”. Also want to have a comprehensive view of the sea in the Gulf of Tonkin, can choose the departure from the North East Vietnam – Sa Vi (Mong Cai), Van Don island district, take the train crossing Bai Tu Long Bay. Crossing the East Sea to Co To Island, then to Ha Long Bay, take the ferry crossing to Cat Ba Island, visit Lan Ha bay tour. This journey not only opens up the magnificent scenery of the sea of ​​Vietnam Island, but also reminds the ancient battlefield with the beautiful sea battle in the Tran Dynasty. 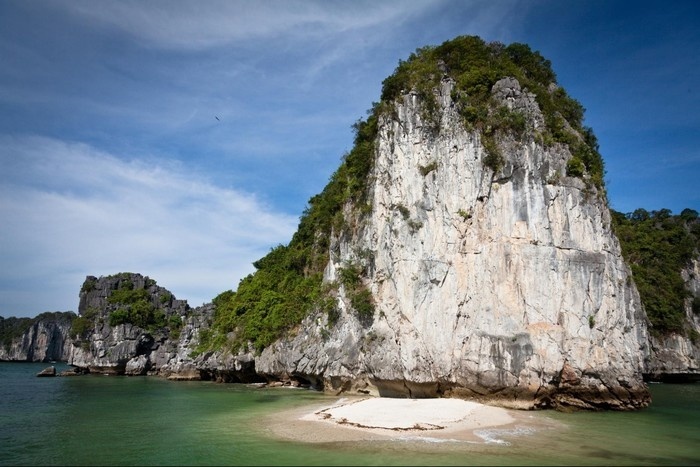 If you want to spend the night on Lan Ha Bay, you can look to the small resort hidden in the limestone mountains. 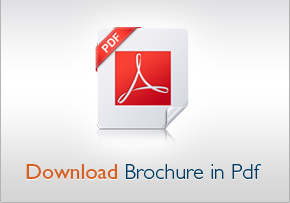 All of them are designed in a minimalist style with natural materials, mainly for Western guests. In addition to enjoying the sea in fine sand, visitors can also dive into the coral reef or explore the mysterious wild caves.